In a brutally gruesome murder, a husband killed his wife by smashing his her head with a hammer and then slit his four-year-old son’s neck with an electric cutter. The brutal incident has taken place at Haripura village in Haryana’s Fatehabad district on Sunday. According to the police, the 30-year-old accused Shravan Kumar, who is a plumber by profession, used to fight with his 25-year-old wife Rekha Rani since he suspects infidelity. After killing his wife and son Dhruv, the accused reportedly tried to commit suicide by jump at a railway crossing near Mehuwala village. He tried to jump in front of the train but some villagers, who came after him, prevented him to do so by overpowering him. Then, the villagers brought him to the local police station. Deputy Superintendent of police Umed Singh said that the incident happened at around 5 am on Sunday. The accused after committing the crime, informed his younger brother Vikram who lives in the same town. A case of murder was registered against the accused and he was arrested. Singh was quoted by the Hindustan Times as saying “We have arrested the accused and registered a case of murder against him, on a complaint lodged by his brother”. According to the police, Shravan got married to Rekha, who is from Rajgarh in Rajasthan, in 2013. He used to fight her frequently over her loyalty. 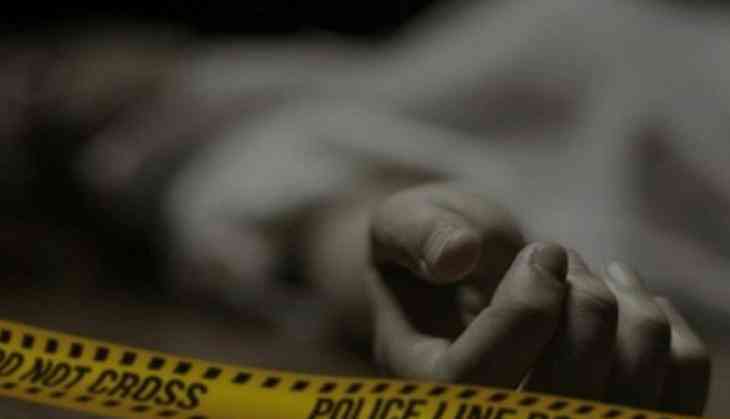 The bodies of the deceased were sent to the local civil hospital for postmortem by the police.